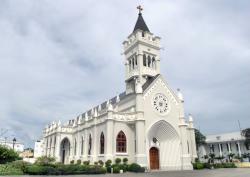 Visit the Cathedral of San Pedro de Macorís, one of the most emblematic temples of San Pedro de Macorís in Dominican Republic. 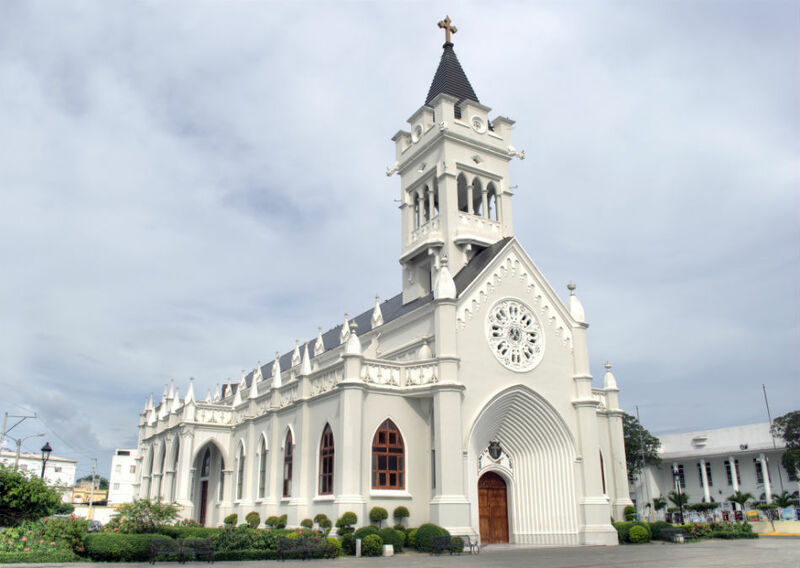 Contemplate the Cathedral of San Pedro de Macorís, which has become one of the most relevant places in the town of San Pedro de Macorís. The first construction built in this place was at the beginning of the 19th century to honor St Peter the Apostle. Built with palms and wood, it was soon destroyed by continuous hurricanes and fires. In 1910, they started its current construction with the first load of cement arriving to the island, starting a modernization process and becoming part of the history of the country. The main entrance is crowned by an archivolt with a rose window above it. The rose window has the Franciscan crest, the religious order that built the temple. Pinnacles, buttresses and ledges are adorned in Gothic style, but made in concrete, not stone. Its interior is Romanesque and the central nave is vaulted with skylights and pointed arches with stained glass windows, that provide the church with high illumination. The stained glass windows in grisaille stand out, making up the most important and economically valued collection in Dominican Republic. Next to the church is the San Pedro History Museum, an interesting place that can be visited to discover the recent history of the town.